You’ve created your design and now want to select a different print colour. Couldn’t see the colour you were looking for in the previous stage? Don’t panic. 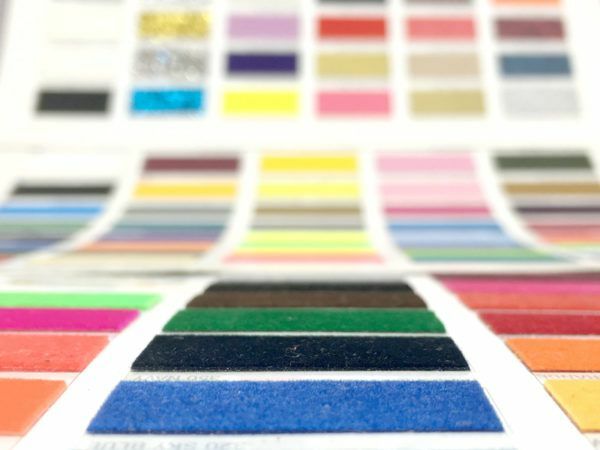 We have a great range of colours and effects for both printing and embroidery, and are able to match exact Pantone references. We realise that everyone has different tastes and a design as unique as them, so having an extensive colour range is paramount. 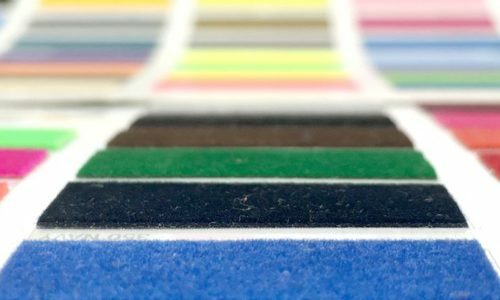 Being able to match exact Pantone references is especially important for larger companies, where it’s necessary for their branding to be consistent throughout printed products and marketing materials. As we can mix colours to create perfect Pantone matches, you can literally print in any colour in the world! Already got your Pantone reference or have a specific colour in mind. Let’s get your order processed! 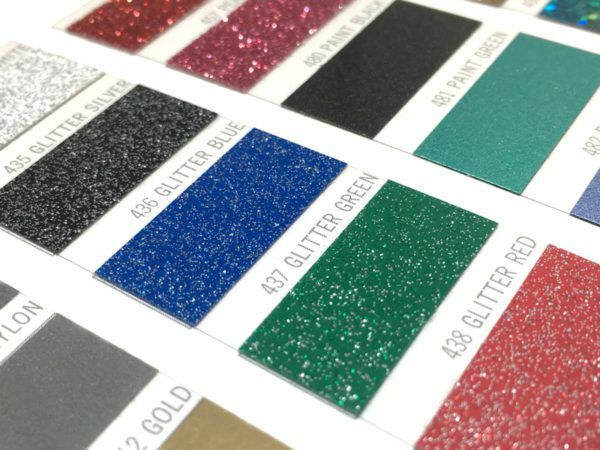 If you’re looking for something particularly eye-catching, we offer special printing techniques such as Flock, Glitter, Reflective and Wild, which allow you to unleash your creativity! Think camouflage, marble, copper snakeskin and leopard print, to name a few. These print effects are perfect for fashion clothing and promotional merchandise and will have all eyes on you at events. If you want to embroider your design onto a garment, know that you have over four hundred colours at your disposal. As we use Madeira threads, consisting of a rainbow of single colours, tonal ombre, multi-colour, astro shades and the 5 black and 5 white shades for tone on tone or contrast stitching, we are bound to have a thread that is perfect for your design. In order to get your personalised clothing and promotional products 100% perfect, ask our printing experts for more information on the colours available or send over your Pantone reference and they will get your order processed for you. Some printing techniques, such as DTG printing, don’t allow for Pantone matching, but we always work closely with our clients to ensure that the closest colour match is found. In certain occasions, we may have to substitute a single thread for a similar colour if that one is not available.